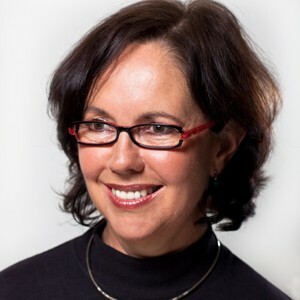 Ros Moriarty is managing director of the Jumbana Group, an indigenous art, strategy and communications company. She was a finalist in the 2012 Telstra Businesswomen’s Awards and has received the Advance Australia Award for Service to Industry and Commerce. Architecture & Design spoke to Moriarty about working as a journalist, why board positions are important and how public art can help create a positive atmosphere in developments. You were previously a journalist with Radio Australia. How did you come to be involved in the design industry? A happy accident. Our first son was born in Melbourne, and we silk screened some long neck turtles onto his bed linen so each day when he woke up, he would see images from his dad, John’s, Aboriginal family in remote NT. John and I established a studio with the philosophy of celebrating the birthright of all our three children. It grew into a design business that I fell into running and art directing. Is there anything you learnt during your time as a journalist that has helped you as a designer? Definitely. Listening, interpreting and communicating are skills needed by both a journalist and a designer. Both these vocations are about taking information in, finding its essence, and communicating it as powerfully and simply as possible. You hold several board positions - how are they important for you? The role of a board member is entirely different from running a company. On a board it is about the big picture, not the detail, and giving management space to achieve their objectives, while providing strategic support. Stepping back from the day-to-day to gain some perspective is a good discipline. I enjoy the mix of people I’ve met on boards. They have often come from very different professional backgrounds and their achievements are inspiring. Can you tell A&D about your involvement in the $40 million public art precinct which opened in Townsville recently? Our team has delivered 33 Aboriginal and military public art works and more than 100 interpretive elements for the 18 hectare Jezzine Barracks site in Townsville, recognising a rich shared historical and cultural heritage on the headland. We were appointed by the Jezzine Barracks Community Trust to art direct and project manage the delivery between 2011 and 2014 from concept through to installation. We developed the thematic content and sourced and worked with Queensland artists, local Wulgurukaba and Bindal Traditional Owners, elders and Aboriginal artists. Our design studio, Balarinji, also designed the interpretive wayfinding and commissioned an audio walking tour app. How important was the art at the development? The art was central to the development’s sense of place and public enjoyment. The diverse aesthetics of the works by a very talented cohort of practitioners, the scale of the works, their theming and use of materials from wood to stainless steel, glass, ceramic and concrete together create a very positive energy for the visitor. To the Trust’s credit, they had decided under the leadership of chairman John Bearne that the precinct would be judged on the merit of its art and interpretation, and they were prepared to invest to achieve the outcome. What has been the most rewarding project you have worked on and why? While we have been fortunate to have had many brilliant opportunities, such as creating a fantasy tutu for the Australian Ballet’s 40th birthday, screening massive stage animations for U2’s Vertigo tour and installing coffee capsule art walls in Nespresso boutiques throughout Australia, it is hard to go past our best known commissions – our series of four Qantas aircraft covered in Aboriginal design. Spanning two decades – the first in 1994, the Wunala Dreaming 747, and the most recent in 2013, the Balarinji-Bedford Mendoowoorrji 737 – they are projects that needed our teams to innovate and meet unchartered creative and technical challenges. The emotional connection many people in Australia and overseas tell us they feel when they see these aircraft is very rewarding. Our philosophy of celebrating the beauty of Aboriginal art and culture was the reason we first took the idea to Qantas – it was the start of a valued partnership with Australia’s most recognised global brand. If you could work with any other designer, who would it be and why? Renzo Piano, to create an iconic and authentic public building, inside and out, that captures the essence of the heartbeat of Aboriginal life and culture on the Australian continent.